‘Tis the season! 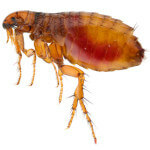 Flea and tick season, that is! Warm weather brings along with it parasites of all shapes and sizes. 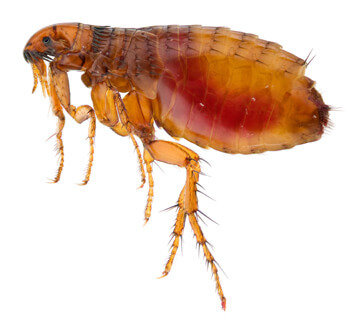 Pennsylvania is rife with external and internal parasites that can affect our cats and dogs. 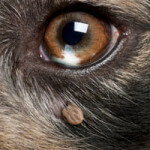 Ticks are by far the most prevalent parasite in our area, but fleas, heartworm, mange mites and intestinal parasites are also a significant threat. I’m a strong advocate for year-round parasite control, as our weather is unpredictable and unseasonably warm winter days can lead to year-round tick activity. One of the most common questions I’m asked by clients is whether there is a “natural” parasite prevention product available for pets. To play devil’s advocate, the first question is how do you define natural? Arsenic is natural, yet it’s poisonous. So is lead. And radon. I guess one could say that ticks and fleas are as natural as it gets. I’ve heard of a multitude of “natural” parasite control products over the years. Here’s the truth: if apple cider vinegar worked, we’d all be bathing our pets in it. If garlic worked, and wasn’t a known pet toxin, I’d happily have my dog smell like an Italian bistro. If brewer’s yeast worked, I’d be thrilled if my cat smelled like the dregs of a keg. I truly, honestly wish these products would keep Fido from contracting Lyme disease or Fluffy from bringing in a flea infestation. They don’t work. I’m an organic eating, non-RoundUp using, natural soap bathing type myself. 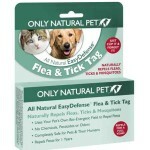 And I wish there was a chemical-free product that worked safely and effectively to prevent fleas and ticks on my pets. The reality is, there simply isn’t such a product. 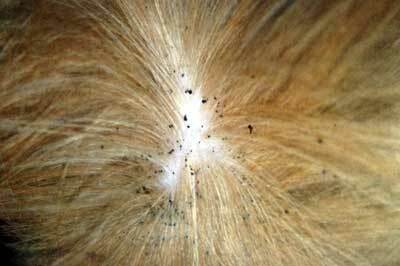 I tell clients all the time: I’ve seen dogs die from Lyme disease, but I’ve never seen one die from a flea and tick preventative product. Just this week, I had two clients ask about this product. 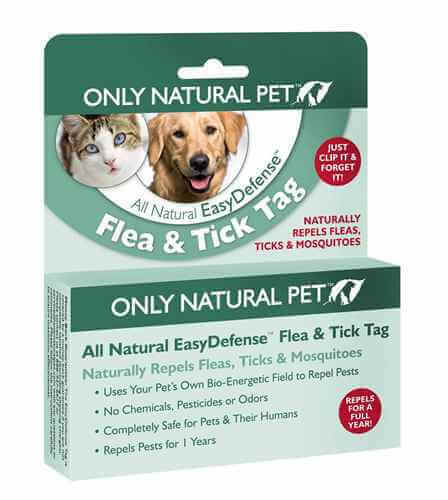 The EasyDefense Flea & Tick Tag claims to use your pet’s “bio-energy” and “magnetic field” to prevent fleas and ticks, after just three weeks of regular use. And it’s a steal at $50 per tag! It’s simply amazing that veterinarians are vilified for charging appropriately for our skills and expertise, while a company like this can prey on well-meaning pet owners and sell a completely sham product. 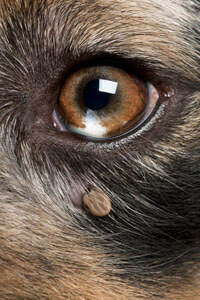 When it comes to parasite control for your pet, there are a few simple rules. One, you get what you pay for. Cheap, knock-off pet store brands are often ineffective and can be dangerous. Two, despite the fact that your labradoodle’s breeder recommended brewer’s yeast, it doesn’t work; trust the advice of your educated, experienced veterinary professional instead. Three, longevity in pets is at an all-time high, and that can partly be attributed to preventative healthcare measures such as broad-spectrum parasite control! Certainly, feel free to ask your friendly neighborhood veterinarian about any new flea and tick remedies you come across (especially before trying it on your pet, as some “natural” products can be toxic). However, your veterinarian will likely echo the sentiments expressed here.